Prescott Tax and Paralegal, your family law experts in Prescott, understands that it is important to know what kinds of things can affect your parental rights. Legal decision-making and parent time are two of the most important subjects related to parental rights. 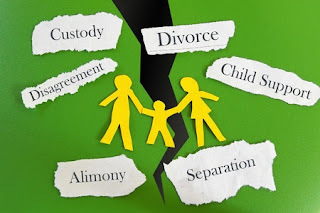 When parents separate or divorce, the term legal decision-making refers to the person or persons with the legal right to make all non-emergency legal decisions for a child, such as those relating to education, healthcare and religious training. Where there is joint legal decision-making, both parents share the decision-making and neither parent’s rights are considered as being superior. Sole legal decision-making means that one parent has the legal right to make major decisions for the child; the other parent is entitled to reasonable parenting time unless the court finds that it would seriously endanger the child’s physical, mental, moral or emotional health. Parenting time means the schedule of time during which a parent has access to a child. When parenting time is disputed, the court first sends the parents to mediation to determine a parenting plan. If the parents are unable to agree on any part of the parenting plan, the court decides that aspect. When determining legal decision-making and parenting time, the court is required to consider what is in the child’s best interest. This involves factors related to the child’s physical and emotional well-being. Prescott Tax and Paralegal recognizes that it is important to understand parental rights and family law in Prescott. A divorce, legal decision-making, or a parenting time issue can leave you feeling overwhelmed while sorting things out legally. We strive to offer the legal document assistance you are looking for while making these important decisions. We can prepare documents statewide. To schedule a consultation, call us at 928-778-3113.